The Evolution of Fleet Cards | WEX Inc. According to the Encyclopedia Britannica, the credit card was introduced into our economy in the 1920s as a way to pay for fuel and hotel accommodations. However, fairly quickly, these fuel cards evolved to cover payment for a variety of different goods and services. Both Diner’s Club and American Express introduced their travel and entertainment cards in the 1950s. These card companies charged their customers an annual fee and billed them monthly at 4-7% of the total billings. Today the trucking industry is taking advantage of the credit card system by implementing corporate fleet cards. These fleet cards can be used not only to manage and control spending but also to provide data that is invaluable in making the system and the fleet cards more robust and efficient. A remarkable percentage of the United States consumer population has never known a world without credit and debit cards. Millennials have been paying for gas at the pump their entire lives, but that was not always the setup. It was not until the 1980s that electronic banking started to penetrate all aspects of consumer spending, and the oil companies were one of the first industries on board. Fleet managers and drivers used a general credit card to pay for fuel, and expenses were then compiled by hand to calculate cost. The process added efficiencies, but not enough – and It did not take long for WEX Inc.’s founder A.R. Wright to see a huge opportunity at the pump. “He took an ATM and hooked it up to gasoline pumps on an island where someone could put a card in and activate the pump and pump fuel,” — Mike Dubyak, WEX Chairman. Although the receipt information taken from those early fleet card systems was limited to location, date, and dollar amount, it was a start to something that would transform fuel management forever. In the beginning the cards were used simply to purchase and pay for fuel, but in 1981, Comdata would launch a fuel card at approximately 10,000 truckstops with amazing success. Fleet managers welcomed access to such a substantial network of fueling stations, and they really loved the ability to see and manage fuel purchases in real-time. WEX Inc. introduced its first fleet fuel card in 1983 and worked closely with oil companies to capture information above and beyond location and cost. The partnership would allow the fuel card system to capture odometer readings and driver identification through a PIN number, along with the date, time, fuel amount, and cost. Since the early ‘80s and with the advent of the Internet, fleet cards have come a long way and are now considered a staple of the trucking and transportation industry. 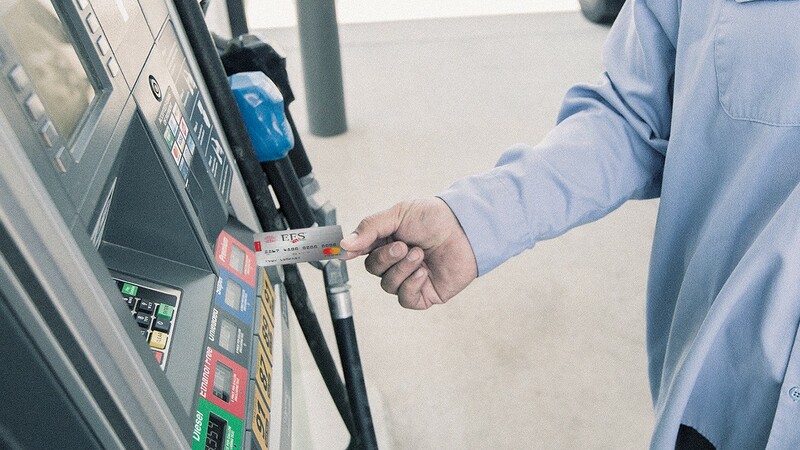 While they are most often recognized as a payment method for gasoline, diesel, and other fuels, the most essential advantage is the data generated by the fleet card’s use. EFS, a subsidiary of WEX Inc., is leading the industry in fuel card payments and the analytics that follow along. Today transactions and the telematics gathered from those transactions provide fleets a way to manage the cost of operations and productivity. Besides fuel oversight, data analytics can provide insights on driver behavior and performance as well as security measures and fraud mitigation — benefits that no one saw coming in 1983. Today it is not only banks supporting fleet cards. Companies like EFS have become leaders in the industry for two reasons: 1. They know trucking. 2. They know payment. 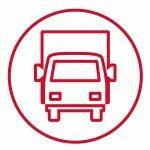 Fleet cards can be customized to provide the benefits and the data that best fit your fleet size or industry. Because WEX Inc. and EFS understand the trucking industry and have built expertise in the payment sector, they are unique in providing modern fleet cards that can effectively mobilize fleets of any size or shape. Because no two fleets are alike, EFS offers three flexible fleet fuel card solutions tailored to meet the needs of fleets with 25 trucks or fewer, or 26 trucks and beyond. So, while 1980s magnetic strips and manual transaction sheets are considered vintage applications today, we can still look back with gratitude on the spark they provided and the trail they blazed.